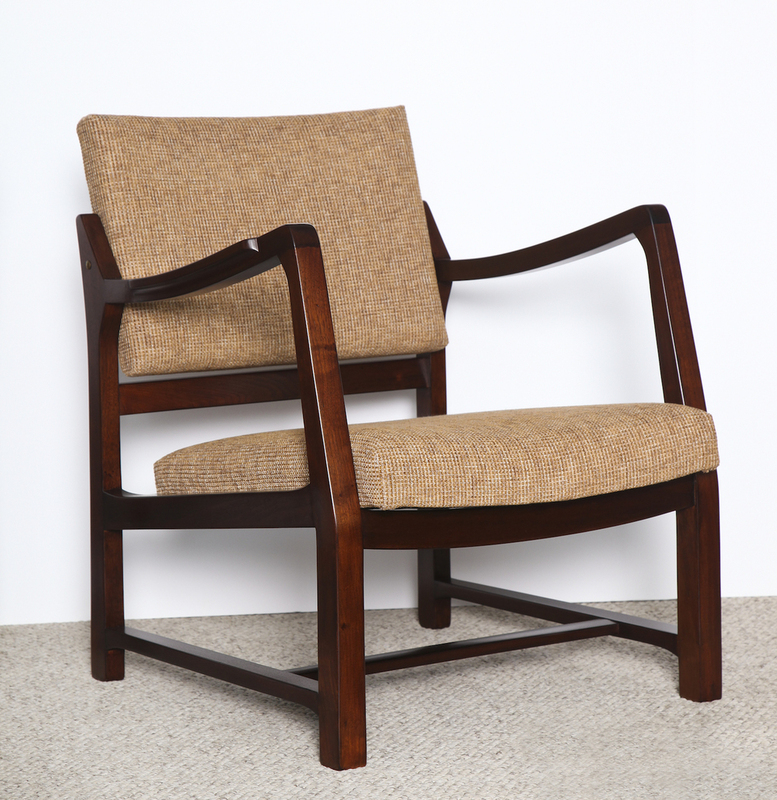 Rare Pair of Open Arm Chairs by Edward Wormley for Dunbar. Model #4869B. Dark-stained walnut frames with upholstered seats and backs. Sculptural, open arm design with swivel mechanism on backrests. h. 30.5" w. 24" h. 30.5" Seat: h. 16" Arm: h. 25"
Excellent condition. Recently restored and reupholstered.